has mushroomed in recent years, as businesses in a wide variety of fields decide to outsource the responsibility for searching for candidates, and administration of the processes involved in choosing the right ones. The shape of the UK’s business environment has changed dramatically over the last two or three decades. From a situation where big businesses dominated, and would often even build entire towns for their workforce, government analysis of the business landscape in 2015 showed that 95 per cent of businesses in the UK employed nine people or fewer. Owners and managers of lots of businesses, especially those in the SME sector, i.e. with 50 or fewer employees, are often too busy simply ensuring that everything is running smoothly within their company to devote the time needed to the important job of looking for and attracting the right people to help their business develop and grow. Today’s business manager is a multi-disciplined individual, who has to keep abreast of every part of day-to-day operations, while also having a grip on their vision for the longer term. You therefore often hear the word ‘versatile’ used as a highly desirable quality for employees in businesses which have to be able to get themselves established to the point where they are looking to recruit extra staff. But many businesses still require staff who have very specific kinds of expertise, and it is this contrast between highly specialised employees and ‘all-rounders’ which represents one of the biggest challenges to anyone working to recruit people to such firms, as the qualities required to assess whether candidates are suitable for any given role can be hugely varied. 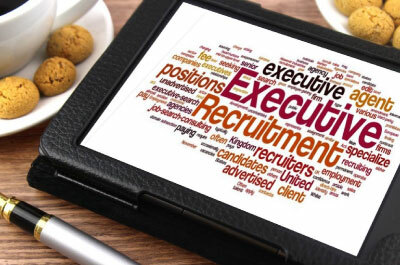 It used to be the case that a recruitment company would build up a wide base of client businesses in its local area, mainly through word-of-mouth recommendations and their own networking efforts, involving going out and visiting businesses and talking to senior people about their plans and their needs in the candidates they take on. In this way, many acquired clients who worked in a wide variety of different business areas, which required the recruiters to quickly learn about what those companies did, their ethos, and what they would commonly look for in potential new employees. But we have increasingly seen recruitment firms themselves which have been established specifically to meet the staffing needs of a particular business field. Engineering, sales and the media are three notable areas which have seen a sharp rise in the number of businesses dedicated to serving their specific needs. These are usually set up by someone with substantial previous experience of working in the sector they wish to target. They may even have held an internal HR post, where they faced the challenge of attracting and recruiting staff directly for their employer. In this, they will have discovered the main attributes considered desirable in candidates for specific posts, and the procedures used to differentiate between them and find those most suitable. Cheryl Wing, who runs a London-based company specialising in recruiting staff for companies in the HR sector, says one of the foremost qualities needed to succeed in the sector is an enquiring mind. “It’s necessary for recruitment consultants to check everything about a candidate, because as every experienced recruiter knows, there is nothing worse than sending a candidate to interview to have the client uncover they have lied and deceived in their CV. This reflects poorly on the consultant involved,” she writes. Like many other businesses with a strong sales element, the ability to work towards achieving targets, and to thrive under the pressure this can bring, is a major factor in success in the recruitment field. But this must not be at the expense of the dedication to finding the right ‘fit’ for an employer, as it is only through earning their respect and satisfaction that an external recruiter will advance in their own career and boost the standing of their business. Of course, a large element of recruitment is being able to ‘sell’ the proposition offered by an employer to a potential candidate. You therefore need to be able to overcome any objections which may be put in your way as to why the opportunity you are presenting isn’t the right one for them – even if it sounds really tempting! If you are working on the client side, you may find yourself almost becoming a remote ‘arm’ of their business, so be able to establish a close working relationship with the people in charge. That, in turn, should mean that you can plug into the ethos of that firm, making it easier for you to seek out the right kind of people. You’ll probably find the truth of the maxim “success breeds success”, meaning you will earn more business through recommendations, which will make your job so much easier. KPIs – or key performance indicators – are the ways in which you can evaluate how you are doing in your job, and decide how to focus your efforts. But how will you know if you’ve been successful? You’ll probably have to achieve a set number of job postings per month, along with a proportion of successful outcomes for clients, and these will all have to be completed to timescales usually dictated by the clients themselves, as they will have a date in mind for when they want their new staff on board. Before you get to this stage, though, you’ll probably have to do quite a lot of groundwork – so if that means making 10 calls in your first hour at work before you can move a face-to-face client or candidate meeting, then you shouldn’t be afraid to roll up your sleeves and do it. And if you want to be a success, you should be prepared to not stop just because others do. To succeed in any line of work, you need a good spread of basic qualities – but in a highly competitive field such as recruitment and retention for businesses, a handful of extra attributes can help you well along the road to success. The ability to listen to how your clients communicate, their tones of voice and the way in which they relate to each other and their own customers can be vital. Even in a highly technically-focused business, you should be able to sound as if you know what you’re talking about, as you’ll be expected to be able to filter out candidates who might be trying to do likewise – but are really just good at selling themselves. As you progress towards recruiting for more senior roles, you may also need to adapt your way of doing business so that you can build effective relationships with the most senior executives in larger businesses or organisations in the public and private sector. Due to the demands on their time, and their need to travel widely on business, these people may not be easy to reach for face-to-face conversations, so you will need to be equally adept at communicating via emails, texts and social media messaging. As with any career which people really enjoy, it’s easy to find yourself working ever-longer hours as you strive to set and achieve ever more ambitious goals. But you need to remember the importance of ‘me’ and ‘family time’ to your general well-being and, even if your clients are ‘on call’ 24-7, know when to leave the office behind and spend time unwinding – whether that’s by visiting the gym, reading a book, catching up with the news, or enjoying time with your kids. You can try to fool yourself by telling yourself that stress goes with the territory of having a fast-paced career – but what good will that be if you drive yourself to exhaustion in a couple of years? While certain founding principles, such as honesty, transparency and a respect for people with a variety of talents, will help keep you grounded in recruitment, no one ever became a huge success without taking some risks. Think of Sir Richard Branson – he’s almost universally admired for his entrepreneurial spirit, and never tires of trying new things. When he identifies a business sector to which he feels he can bring something new and unique, he will follow his dream, in the process building a strong ethos which people who work for him can identify with, and be happy to promote to others. Perhaps on a smaller scale, this is how whole industries and business sectors move forward and ensure that they stay relevant to their existing and potential customers. So if you find that a certain aspect of your work isn’t getting the result you want, have the courage to realise it, and to ask how you need to change it. In recruitment, there are no hard and fast formulae for success, so your new ideas should always at least deserve to be listened to. Have you heard any other pearls of wisdom from people who have been successful in business which you’ve adapted for yourself, and had dramatic results? We’d love to hear about them in the comments.